If you're like most people, you think that heart disease is a problem for others. But heart disease is the number one killer in the U.S. It is also a major cause of disability. There are many different forms of heart disease. 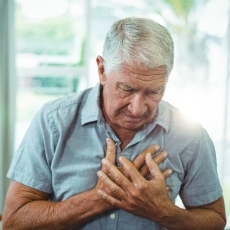 The most common cause of heart disease is narrowing or blockage of the coronary arteries, the blood vessels that supply blood to the heart itself. This is called coronary artery disease and happens slowly over time. It's the major reason people have heart attacks. Article: Preoperative cardiopulmonary evaluation in specific neonatal surgery. Article: Cardiovascular autonomic neuropathy in type 2 diabetic patients.